Would you rather just have pictures of your practice, products, and services – or amazing, high-quality videos, that provide patients with a multisensory feel for what you do? Chances are that you and your patients would choose a beautifully shot video over just text and photos. In fact, we can’t think of a reason why you wouldn’t want videos that prospective patients can browse through when deciding to choose you or not. 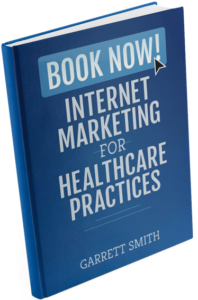 As you may already know, video is one medium not to overlook when boosting your practice’s online presence to ultimately win over more patients. Let’s get started learning more about how you can use this new video feature to put your best foot forward on Google! Since so many of your current and prospective patients rely on Google to get their information, it’s important to be able to “meet them where they are” and give them a great reason to seek care from you. Think about it: Google gets over 40,000 searches in one second. This means it is extremely likely that someone has searched “Restaurants near me” or “Dermatologist Tampa” and could have stumbled across your practice. Your Google My Business profile is integrated not only into your Google search, but also to your phone’s GPS. In fact, many mobile map systems pull directly from Google’s business interface to provide searchers with the location and reviews they’re looking for. Thankfully, Google has done a great job of making this tool accessible to all practice managers and doctors. Why? Because Google My Business is free. Your company’s GMB profile is a central hub of information for consumers and Google has provided you with all the tools to succeed: a place to fill in your practice’s NAP info (name, address, phone number) in addition to photos, posts, and now video. There has been a huge trend toward video and using it over still content, like pictures. Because so many people interact with practices through the internet, videos are a great way to showcase your information and products while capturing someone’s attention for a longer span of time. Simply put: video is more engaging and it boosts the professional authority of your company. On Google My Business, videos will appear in the “Overview” tab of your Dashboard, but may take up to 24 hours to appear on your profile. Better yet, though, is the fact that your videos will appear next to your photos, making it each for patient to view. In addition to videos uploaded by you, Google has allowed consumers to upload videos to your practice’s profile. This means that someone can upload a walk through of your building or a small “vlog” about their great experience at your office. Patient videos will appear in a seperate tab called “By Customer,” while your videos will appear in a “By Owner” tab and among your practice photos. Despite users having the ability to add content to a practice’s profile, we encourage practice managers and doctors to upload high quality videos themselves. Remember: a high quality video can be short on an iPhone or Android! Having a great video on your profile doesn’t have to cost you hundreds of dollars to hire a production crew. If you can afford it, do it! If not, whip out your phone and take advantage of free editing apps like iMovie or Windows Movie Maker. Now comes the fun part: uploading a video to your practice’s profile! Just follow the next three steps to upload a video and give your prospective patients something that will help incentivize them to work with you. Your GMB dashboard is the hub where you can access all of your practice’s information. This includes checking out the insights Google gives you about who has been viewing your profile and it allows you to respond to the reviews people have left about your practice. But for now, let’s focus on the “Photos” tab. From that screen, you will want to click “Videos,” which is located toward the center of your screen. Now that you have reached the Videos tab, you’ll be directed to upload your first video! Simply find the video you want to upload on your computer and hit Upload! From there, you’ll want to fill in details about the video, such as a title and description. Within 24 hours, your video will appear on your Google My Business profile and you can give yourself a pat on the back for giving your practice an edge against competitors who haven’t taken advantage of Google My Business yet.